<img alt="" src="http://lh4.ggpht.com/-r-jTdFarsOg/U4fgZrRWc9I/AAAAAAAAQcg/FomJ1gEs7Wc/video3f50cf5c872c%25255B16%25255D.jpg?imgmax=800" galleryimg="no" onload="var downlevelDiv = document.getElementById('d7f5fd43-9973-4345-b4a8-38ed5f9c1523'); downlevelDiv.innerHTML = "
about 9 minutes we see in Outlook Web Access the ability to add an attachment directly from OneDrive for Business as you can see in the screen shot above. Hold the phone! When are we getting this? I checked my Office 365 tenant and unfortunately as yet I don’t have it. If I go into my Outlook Web Access and select New email, Insert and then attachment from the menu that appears, as shown above, I get prompted to select a file from my local machine only. Clearly, the ability to allow attachments directly from OneDrive for Business is coming (faster, faster please) and that is fantastic news because it is a key element that has been missing and makes so much sense. Roll on Office 365 updates. 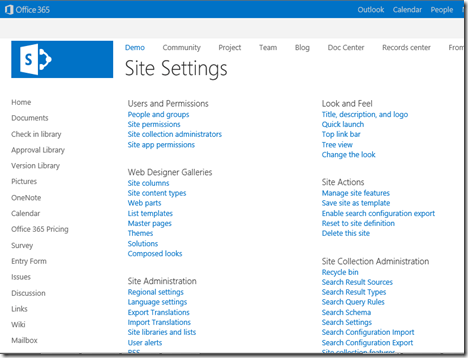 Another really popular question I see is “How much space is my SharePoint site using?”. Here’s how you find out for a complete Site Collection (unfortunately, you can’t easily do just do single sub-site, you need to do the whole Site Collection). 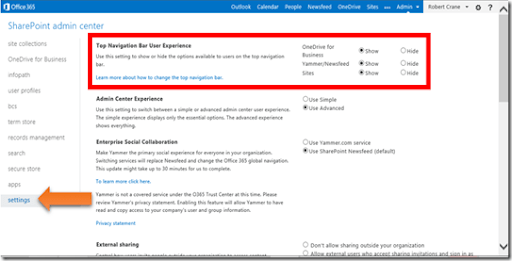 Navigate to the top site in the Site Collection in question as an administrator. Select the cog in the top right of the window just to the right of your name. From the menu that appears select Site Settings. In the Site Settings page locate the Storage Metrics option. You’ll find it at the bottom right under the Site Collection Administration section. That will take you to a summary page as shown above. In there you can see this size of things like Document Libraries, Lists, etc but you can also see the size of sub sites. The listed items are hyperlinked so if I click on the Document Library ‘Documents’ you’ll be shown the storage report for that element as shown above (i.e. all the documents stored inside it). If you select a sub site you will be shown a storage report for this area. Thus, it is easy to look at the storage usage for a Site Collection and then start drilling down into specific areas. 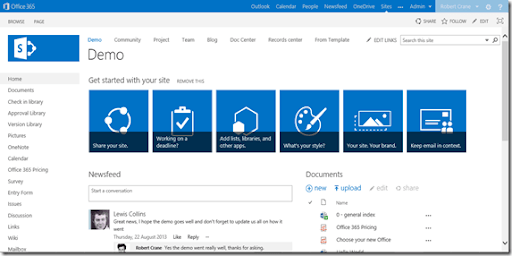 You can do this for any SharePoint Online Site Collection you have INCLUDING OneDrive for Business. I was poking around in SharePoint Online and came across a number of new top menu bar navigation options as shown above. How do you get here? You login to your Office 365 console as an administrator and then select the Admin option in the top right. From the menu that appears select SharePoint. Once here select the settings options at the bottom of the menu on the left as shown above. I’ll have to go back and see whether you can hide any of the other menu options in something like the Exchange admin center. However, this addresses a common complaint I see out there about not being able to customize the top Office 365 menu. Well now you can! Here’s a video of what new features to expect with Windows Phone 8.1 coming soon. I’m beginning to see a major differentiator in the security offerings between what Microsoft provides and what other cloud vendors do. For an overview, have a look at the latest Garage Series video. I didn’t know that Office 365 now allows you to do compliance around document finger printing. This basically means you upload a template document and Office 365 will check outbound attachments to see whether they are similar. If a match occurs then you can use rules to determine what happens. You may for example force that message and attachment to be sent via Office 365 encrypted email. It is really impressive stuff and with Office 365 already configured and enabled. 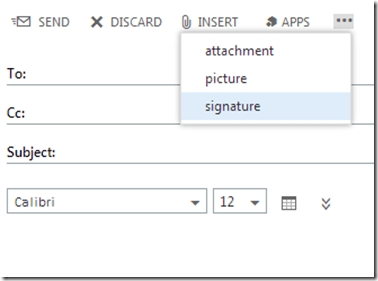 Imagine what it will be like when document fingerprinting comes to SharePoint Online and OneDrive for Business (which it will). You’ll be able to probably prevent sensitive information being copied or sent anywhere outside your organization. You’ll be able to control all of this via policies. If you want security (even better than on premise in many cases) Office 365 I reckon is fast becoming the leader. Why can’t I sync Picture libraries? 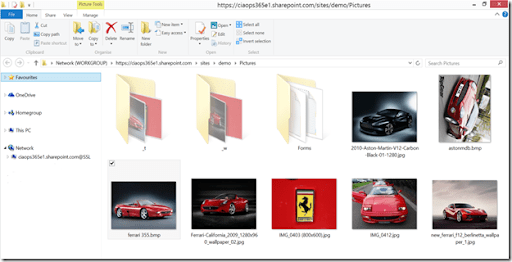 I wrote a post about how to manipulate SharePoint Online images stored in Pictures libraries. However, after some more thought, it would surely be easier to sync a Picture Library to your desktop (as you can with Document Libraries). Change the images there and then let them sync back up. That way you would have a copy of the images locally. 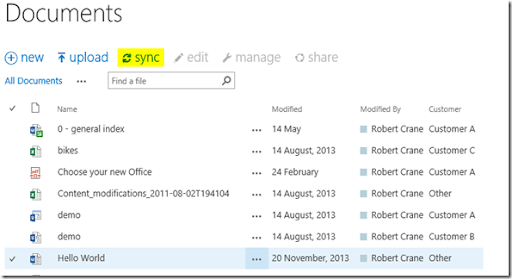 You would work with them locally and they automatically sync in the background back to Office 365. Also given that Picture Libraries are basically ‘special’ Document Libraries would seem easy right? So here’s my Document Library with the sync option available. But in my Picture Library sync isn’t available. Changing the view for the Picture Library doesn’t work either. Puzzling. Surely, there is no technical reason why you can sync a Picture Library when you can a Document Library or have I missed something here? Seems to me that easiest way to allow people to manipulate images would be to allow them to sync a Picture Library to the desktop where they can manipulate it like they can any local file. Please add to you list of things to update when you get a chance Microsoft. I think it would benefit a lot of people! As I have eluded to in many of the posts I have made on this blog about SharePoint, I strongly believe that we are moving away from traditional files and folders into the realm of collaboration. Collaboration means it is more about who you know than what you know, in essence bringing social networking inside a business. Microsoft has begun that process with the integration of Yammer into Office 365 and I am a big fan of Yammer however it is clear they are going beyond this with Office Graph and Project Oslo. Introducing codename Oslo and the Office Graph. In essence, this technology is about information finding you based on what you and your interactions with others. This to me is how people will be working more and more as we move forward in business. Doing things any other way will simply be too slow and cumbersome. The Office Graph and Oslo technology is being rolled into Office 365 before year’s end and I can’t wait to get my hands on it to see how it works. However, if you still back in the days of files and folders then I would suggest to you that you should be looking at Yammer right now, because chances are if you don’t your customers will and then you’ll have real problems. Put files and folders behind you and embrace social for the enterprise is what I say. 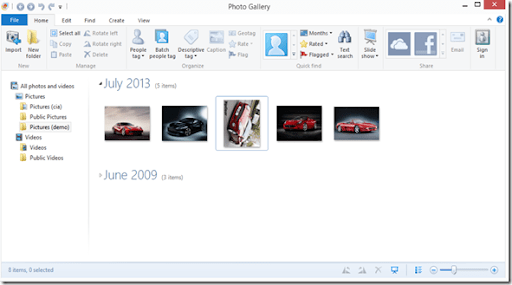 Unfortunately, one of the things that Microsoft removed from Office 2013 was the Microsoft Picture Manager that allowed you to easily manipulate images. However here is another way to solve this issue. 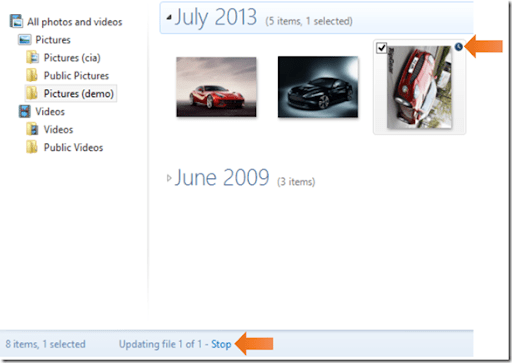 The first step is to create a “mapping” from the SharePoint Online Picture Library to your desktop. 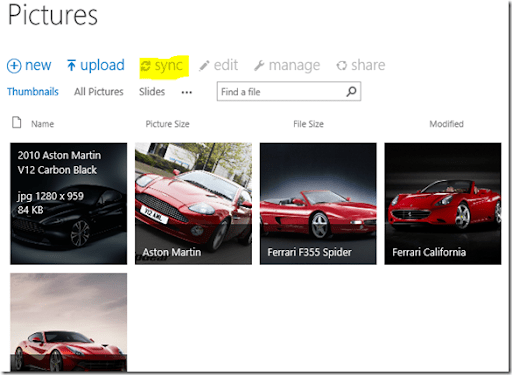 Start by navigating to your Picture Library in SharePoint Online. Once there, select the Library tab in the top left of the page to reveal the Ribbon menu. Towards the right hand side of the Ribbon Menu in the Connect & Export section you find a Open with Explorer button. You’ll then see Windows Explorer open and in there you will see the files in the Picture Library as shown above. 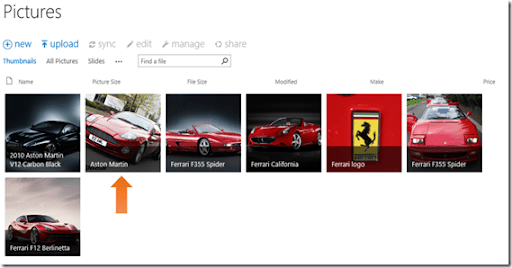 You have now effectively ‘mapped’ a drive on your local desktop directly to the SharePoint Online Picture Library. You can now manipulate those files as though they were on your local desktop. Beware however, that are still working with the files directly from Office 365. This means they will typically have to transferred down locally, updated and then saved back to Office 365 all across your broadband connection. If you have very large images (many megabytes for example) this may mean things work slower than expected. Yet another case for better bandwidth. 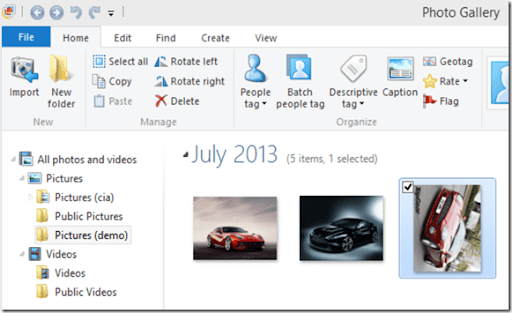 If you select the Manage tab in Windows Explorer you will see that there is some basic manipulations that you can perform such as rotating the images. 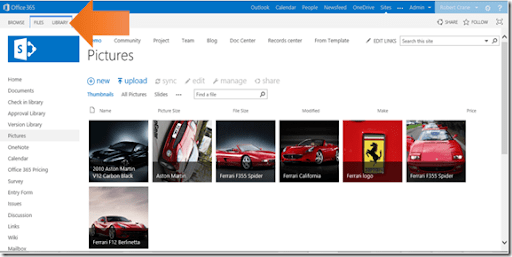 If you need more functionality when working with images you can now use just about any program and simply point it to the newly ‘mapped’ SharePoint Online Picture Library on your desktop. In the case above I’m using the free Windows Live Photo Gallery product from Microsoft. Now I select the image that I want to rotate and then the Rotate Left button from the Ribbon Menu. You will then see the program working on the file. In this case there is clock icon next to the image and the status bar at the bottom says it is updating the file. Remember, this may take longer than you expect, depending on the size of the image, because it needs to be downloaded to the local desktop, manipulated and the saved back to Office 365. That’s why you should really ensure your images are only as large as they need to be. The process will complete and the updated image will appear in your application. 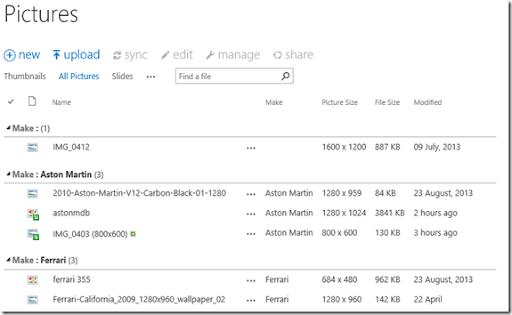 If you now refresh the browser page that also displays the SharePoint Online Picture Library you also now see that it has updated with the changes made to the image as shown above. “Mapping” a drive like this to SharePoint Online is not a prefect solution. It can have challenges at times, typically do to the desktop and broadband connection. A far better option would be if Microsoft incorporated even some basic image editing features (re-sizing, crop, rotation, etc) directly into Office 365 so you could do all this in a browser and without the need for the image to be brought down and saved back. Hopefully, they have that on their ‘to-do’ this but hopefully the information provided here will let you get the job done.